The first ever East coast Monster Army Recon Tour presented by Replay XD kicked off for at Abacoa Skatepark in Jupiter, FL last weekend. The first round drew top up and coming talent from all over the east coast. Riders were competing for over $5,000 in cash, swag and prizes from Monster Energy, Hookit, Replay XD, Hyper, Movietickets.com, Vans and Ride BMX. The stakes were high and the competition was just as intense. The 2013 Monster Army Recon Tour was organized by Hookit, Monster Energy and BMX pro and Monster Energy rider, Mike Spinner. Focused on providing a better contest platform for up and coming ams and pros, Recon contests are being hosted at 10 parks on the East and West coasts throughout this spring and summer. Michael Sugdinis was overall winner from the all new Play Open division at Round 1. He is the first of 10 riders who will receive an exclusive invite an all expense paid trip to Mike Spinner’s backyard Play BMX Compound at the Recon / Play Am finals in September. The overall winner of the Recon / Play Am finals will go on to compete against the pro’s in the Play Pro contest a month later. Below is a recap and final results from the first round in each division. A huge congrats goes out to our podium finishers from the first stop on the Monster Army Recon Tour! Play Open Final Results: 1st Place – Michael Sugdinis 2nd Place – Brian Fox 3rd Place – Ricky Rogers 16 + Final Results: 1st Place – Joe Nix 2nd Place – Lee Bennett 3rd Place – Nick Murphy 13-15 Final Results: 1st Place – Riley Jordan 2nd Place – Jack Straiton 3rd Place – Freddie Smith 12 and Under Final Results: 1st Place – Jabe Jones 2nd Place -Thomas Brunne 3rd Place – Anthony Bennici View the Full Results: www.theReconTour.com/events/2013-summer-recon-tour-round-1-abacoa/results View the Photos: www.theReconTourcom/events/2013-summer-recon-tour-round-1-abacoa/media Special thanks to Hookit, Monster Energy, Replay XD, Mike Spinner, Vans, Hyper, Movietickets.com, Abacoa Park Staff, Dave Brumlow for bring this tour to the Florida riders. Join us at Round 2 where we head to Brett Banasiewicz’s home park The Kitchen in South Bend, IN on Sunday, April 14th. Register now at www.theReconTour.com. About the Recon Tour The Recon Tour was started by Hookit and Monster Energy as is an intelligence-gathering mission to find the best up and coming athletes in the nation through contests for BMX, Snowboard and Ski. We work closely with key partners to support the future of action sports and provide a better platform for the athletes to advance in their sports. For more information on the Recon Tour, visitwww.theReconTour.com. You can also follow the tour on Facebook at www.facebook.com/recontour, on Twitter @recontour, and on instagram @recontour. To get involved as a sponsor or partner, please contact us at 888-874-3374 ext. 133 or recontour@hookit.com. About Hookit Hookit is a powerful digital marketing platform for sports. 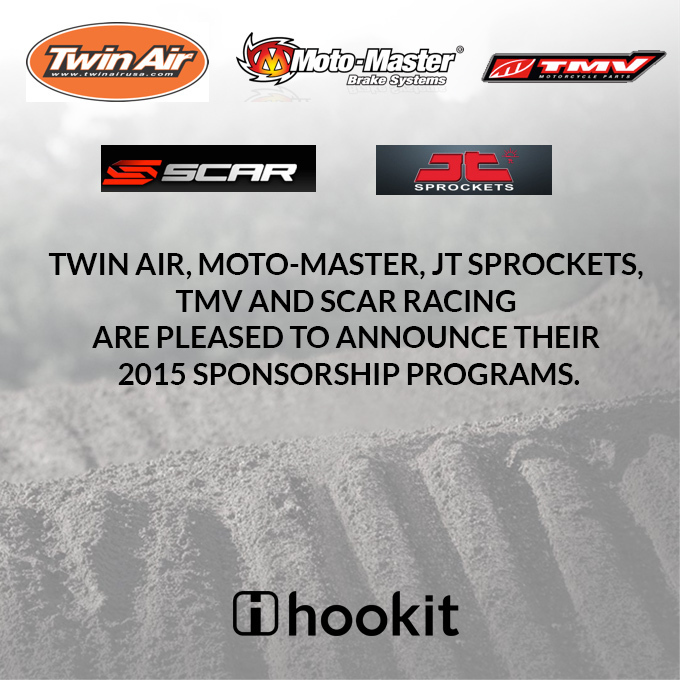 Monster Energy, Dunlop, SPY, Recon Tour, TransWorld Media, Roadracing World, Jeremy McGrath, Justin Barcia, Aaron Gwin, Ryan Guettler and over a million other athletes, brands, spots, events and media partners use Hookit. Hookit exists to support athletes by plugging them into our growing network. Join the Movement — find Hookit on your phone or >www.hookit.com . About Monster Army Monster Army is a legion of athletes and fans that represent the Monster Energy brand all over the world. Join pros like Scotty Cranmer, Jamie Bestwick, Ryan Villopoto, Danny Kass and Rob Dyrdek and get insider access to the Monster Energy lifestyle – Athletes, Support, News, Music, Contests and Events. For more info, visit www.monsterarmy.com.